Saturday morning I got to meet up with Phil, his wife and a friend. His wife is so nice, and his friend so funny. It was nice chatting with all of them and also catching up with Phil. Phil was nice to give us some items from his wedding. 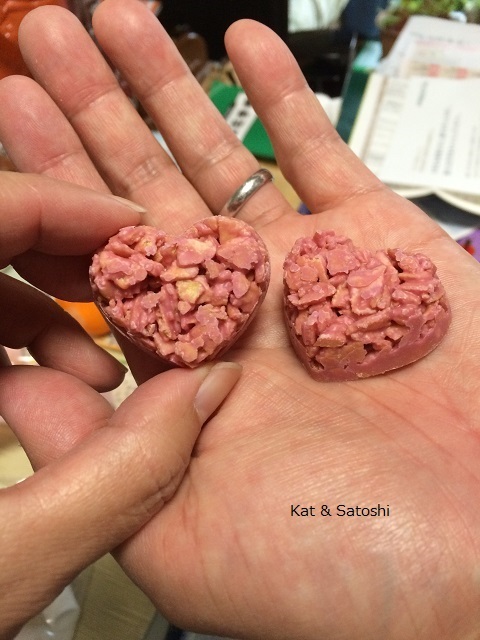 A couple of strawberry crunch chocolates. 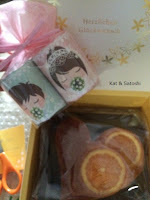 And an orange cake...both heart shaped, of course! According to the language of flowers, oranges mean "a bride's happiness"
And did you know that the symbol for weddings are oranges and the blossoms? I didn't. According to the little note included with the Juchheim orange pound cake, when Zeus married Hera, he gave her some oranges and from that day on, oranges and its blossoms were considered symbols of weddings and the tradition is still upheld. All the best Phil & R! Today we had sun! After a couple of grey and rainy days, it was nice to get out for a walk...except that the wind was super strong and icy! After we tried the sausage with yuzu in it, I researched and found out it was made by Minoo Sausage. 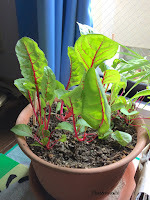 I had seen it at a local supermarket, but when I went back to buy some, they had already sold out. Fast forward to today, on my walk, I found it at a touristy shop along the trail to the Minoo Falls...800 yen (tax included). I froze it and we'll eat it as pupu (appetizers) this winter. 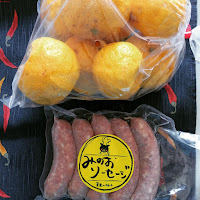 Along the trail, I also found some yuzu...Todoromi yuzu is grown in the Minoo mountains. 1 kilo was 320 yen (tax included). I was so happy to find some. 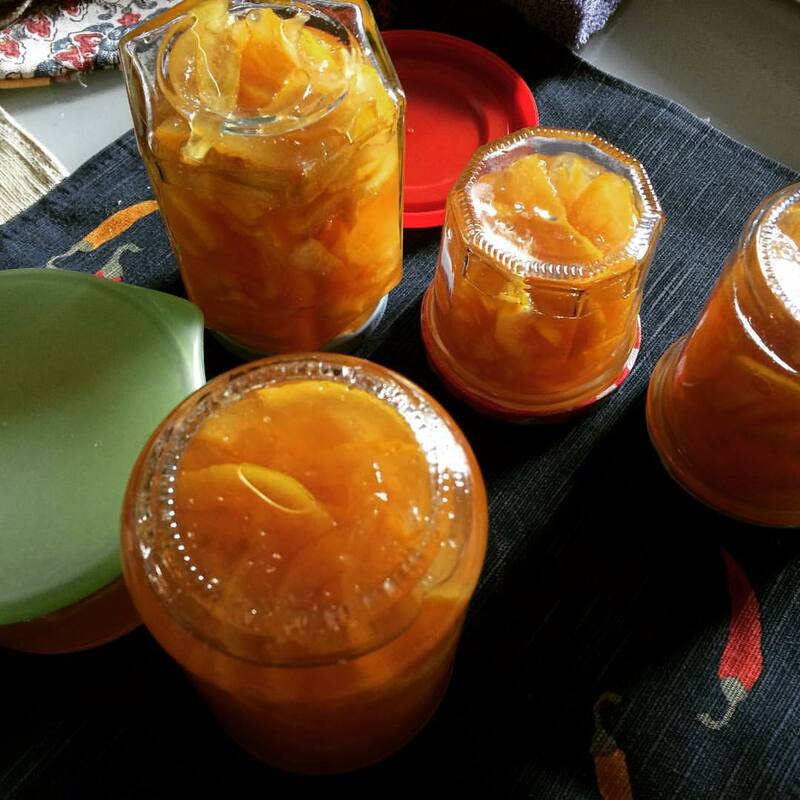 When I got home, I started prepping to make some yuzu marmalade. And wouldn't you know, I ran out of sugar, so I ran out to the store and picked up some. This year's marmalade is darker because I used brown sugar. I still have a bottle that I made last year, and can't wait to try this year's batch. Sorry it's been quiet here, not much happening. Well, the temps they took a dive and it is kinda fahreezing. The sun hasn't been around either so it has been really grey. 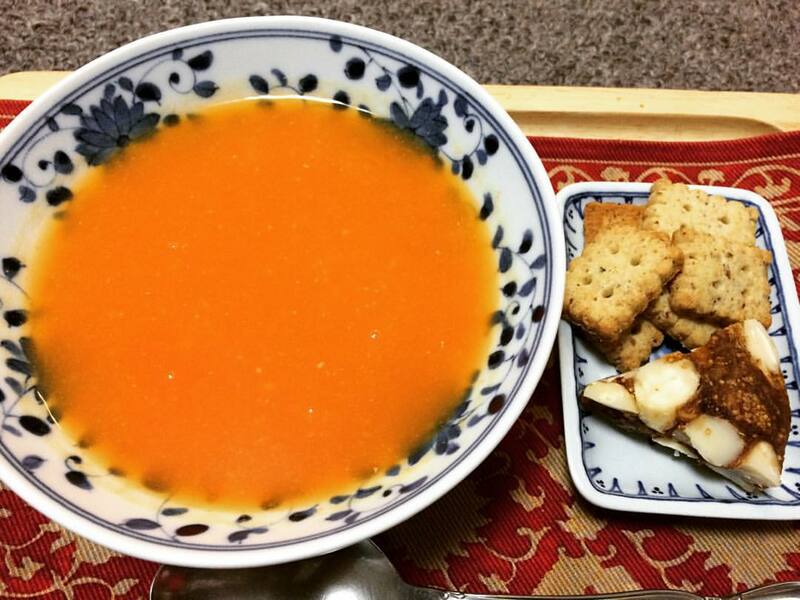 We don't really celebrate Thanksgiving here, in fact, Satoshi has to work late tonight, so I'll be having dinner alone. 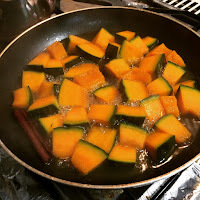 I did make some glazed kabocha for dinner using this recipe. I also made some Japanese cole slaw. Later on today, I plan to pick up some grilled chicken from a yakitori shop in our shopping arcade, to be eaten with cranberry chutney. It's the time of the year that I miss family and friends the most. I hope you are spending your Thanksgiving with the ones you love. I'm grateful for the good days (and the bad ones) and appreciate you being a part of all of it. 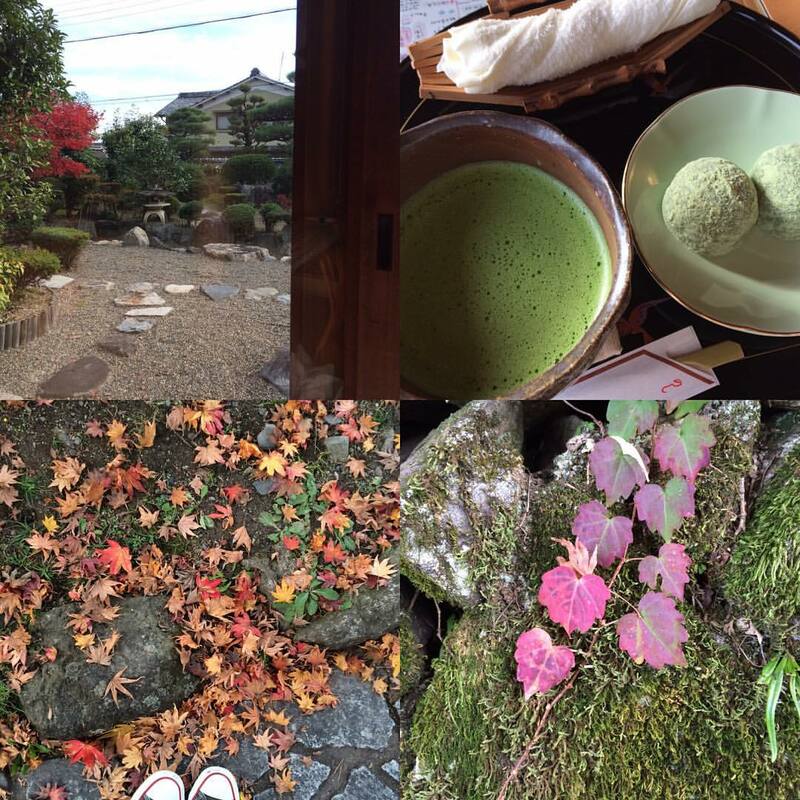 Saturday, after Satoshi's German class, we went back to Sakamoto to check out their fall foliage. The forecast was "migoro" meaning the peak of viewing. 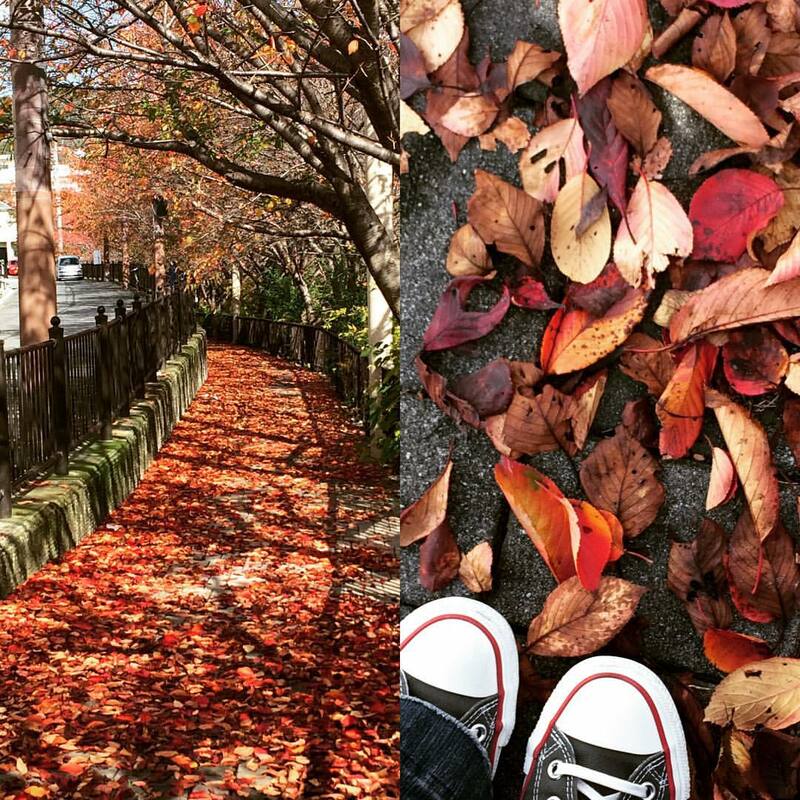 Unfortunately with the warm days and sparse cool nights, the leaves have not changed much, in fact, most have just dried up and fallen. We even waited for dusk to see the light-up at Hiyoshi Shrine, but that was a bust also. We did enjoy some yomogi mochi at Sankuro though. Sunday, we headed over to Sanshikisaido to see their fall colors. It was pretty but a bit muted. So we headed to see the fall colors on the trail to the Minoo Falls...major disappointment. 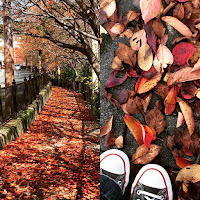 Barely any trees have changed and like in Sakamoto, most leaves have just dried up and fallen. 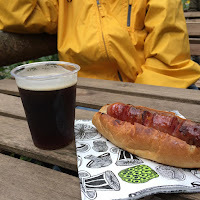 We cheered ourselves up by sharing a Minoh beer and a sausage that was filled with bits of yuzu. The weather dude has been saying that Autumn will be longer...Satoshi is happy with this as it prolongs him suffering with the cold weather, me I'm ready for flurries. The past couple of days were kinda gloomy. One day, it rained all.day.long. Yesterday it was just cloudy, so I got out and about and went to pick up a few groceries. As I was walking to the store, I was thinking of soup, but wanted some color too. 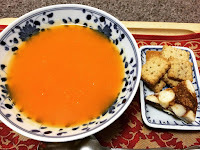 I made this soup up...carrot ginger miso soup. 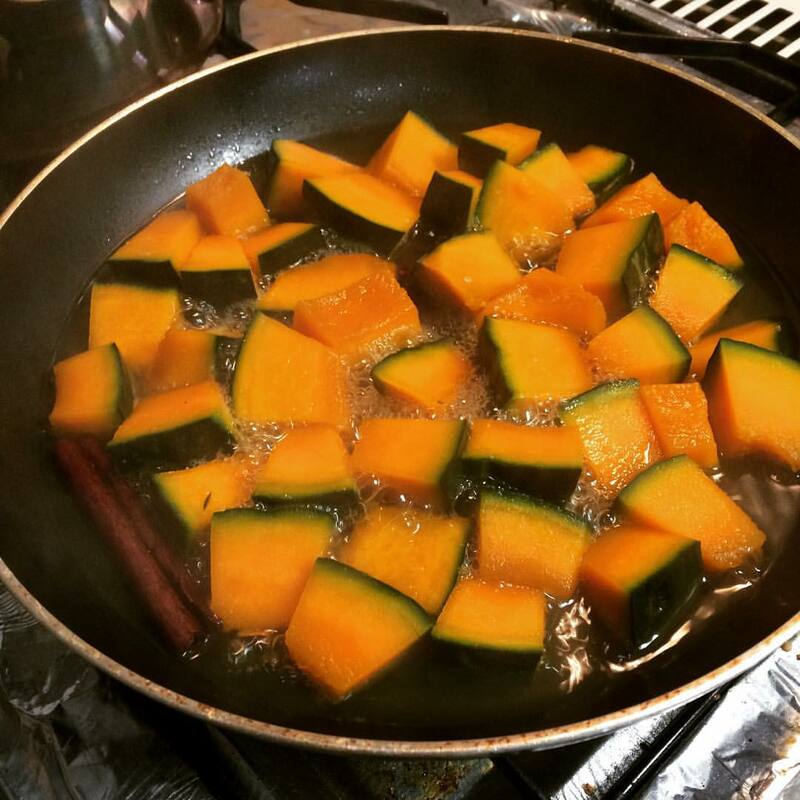 Then turn off the heat add some miso and whizz with food processor. This really hit the spot with the color and flavor. We have a 3-day weekend but the weather is supposed to be kinda iffy, hope we get a chance to see some fall foliage. The other day at the market we came across akakabu (red turnips). If I'm not mistaken this variety is usually found in the Northern parts of Japan. Satoshi likes these as tsukemono (pickles), so I bought one to try making some. 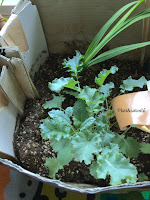 When I cut it, I was surprised by the light pink and white insides. I used this recipe and doubled it. In place of the salt I instead used a seasoned salt (salt, rosemary, chili, parsley and oregano). I put everything into a ziploc bag and let it sit in the refridge for a couple of hours. I love the deep pinkish color. We tried this with breakfast the next day and these passed the Satoshi test. If I come across akakabu at the market again, I'm making this. We tried a relatively new bakery called Croissant. The owner/baker used to be the pastry chef at Epinard, which I've written about, here. 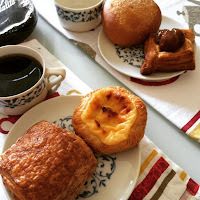 I tried the pain au chocolat and egg danish, while Satoshi went with the curry pan and marron danish. 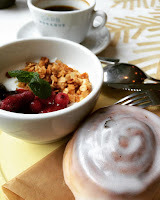 The egg danish was like a custard pie with a flaky puff pastry crust...love! The pain au chocolat had a nice ratio of chocolate. Satoshi enjoyed his choices too. The marron danish was impressive with large chestnuts on top. I'm glad we finally got to try this place, every time I've gone past they weren't open. There is another election coming next week and it always happens on a Sunday. 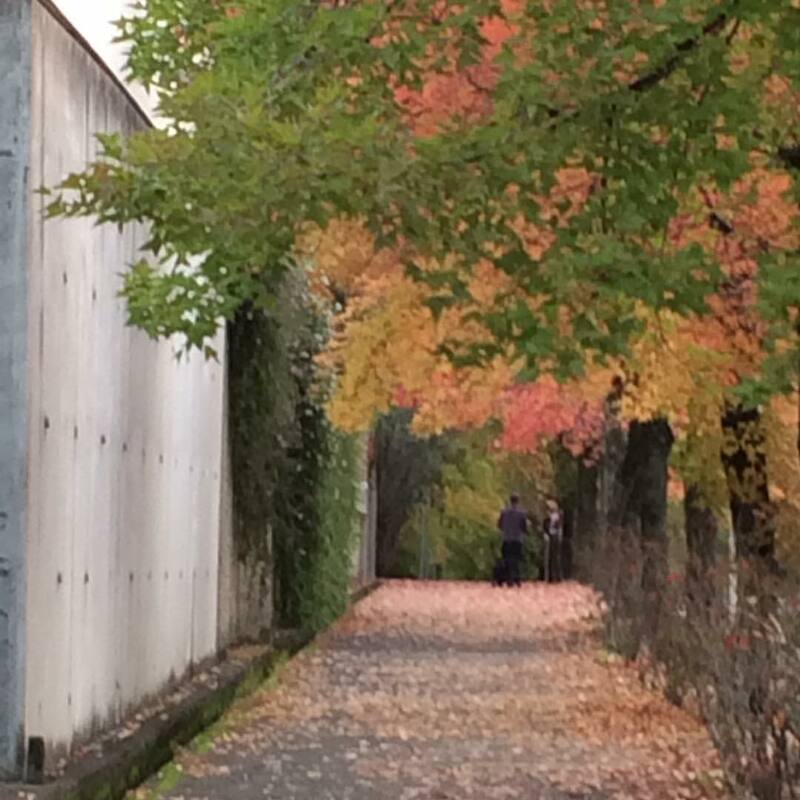 Since this past Sunday was rainy, Satoshi went to vote absentee. It's crazy, they don't need to show ID when they vote, just the card that comes in the mail and they have to go to the city office to vote absentee. After voting we headed across the street to Cafe de 10-ban. 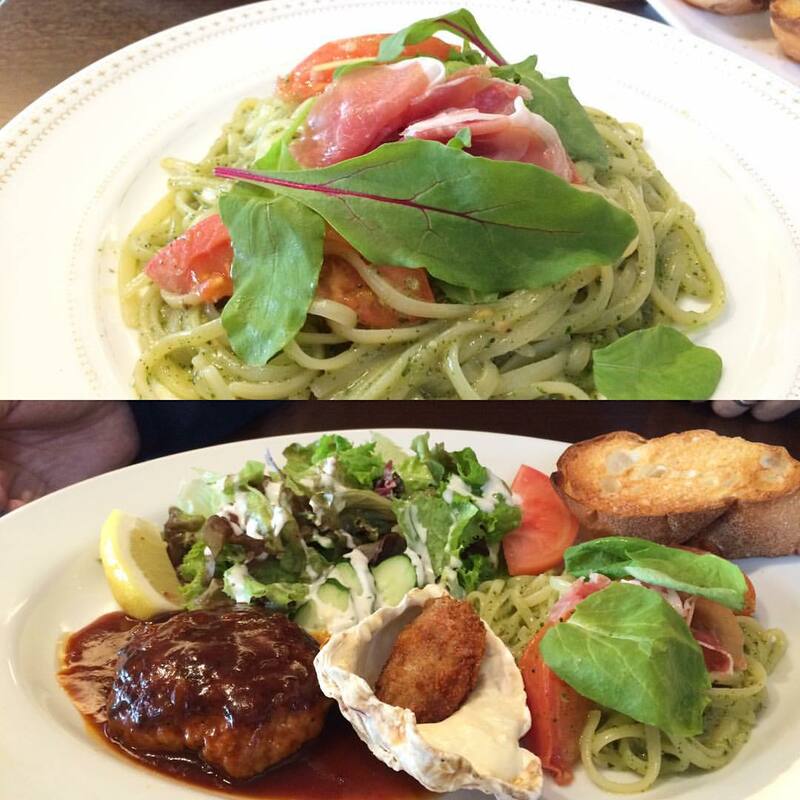 This cozy cafe serves mainly pasta dishes and yoshoku (western) type foods. 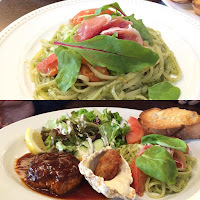 I chose the "pasta of the day" which was a genovese topped with fresh tomato and proscuitto...930 yen (tax included). Both lunches come with an onion consomme and my lunch also came with a salad. I wish they would make this place non-smoking, but I'm glad we tried this place. We may be back when no one else is around. Went to try Kujaku Curry's chicken katsu sandwich, which came out recently. The piece of chicken katsu was huge! Unfortunately, this was a bit dry. The tartar sauce was too chunky for my liking and it didn't really match the sandwich. I again ate this with a knife and fork. 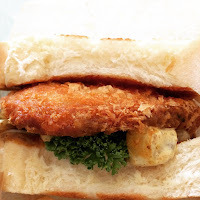 I'm glad I tried this though but will stick with the tonkatsu sandwich here. It's almost the middle of November and the daytimes are still pretty warm. It has kept me wondering how to dress. 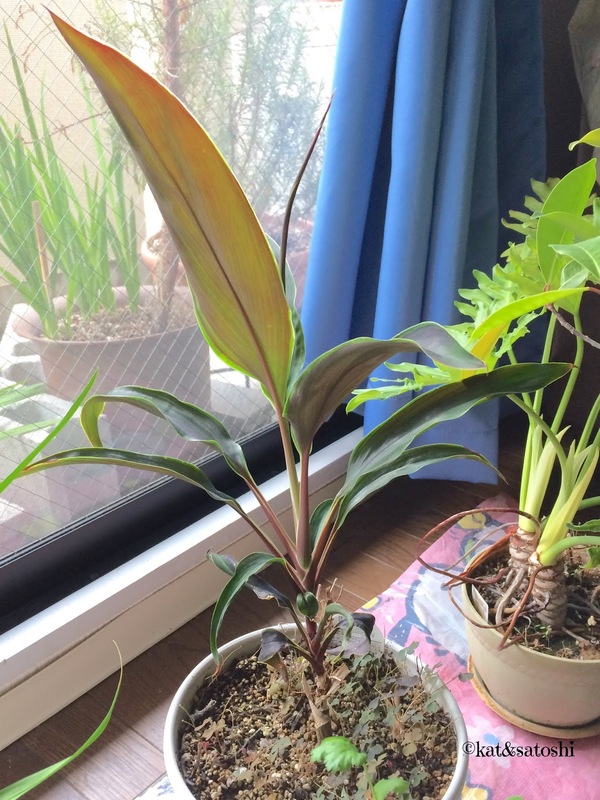 Anyway, the sakura (cherry) tree leaves have changed colors. Hopefully the weather will turn around, the weekdays have been sunny while the weekends have been rainy. Not too fun to get out and about. How have your walks been? We've talked about rolled or stuffed cabbage before...here. Well, I saw a "not" rolled cabbage on a commercial and have been waiting for nippy temps to try it. It also helps that my MIL gave us a nabe (nah-bay, clay pot), so I have something big enough to cook it in. Take half a cabbage and hollow it out. Rinse as best as you can. 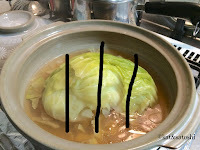 With the cabbage that you took out from the center, cut into bite sized pieces. I added some barley (a couple of tablespoons), washed and uncooked. Mix about 200 grams of ground beef with some minced onion, and pepper, then stuff it into the cavity. Place the "stuffed" cabbage onto the cabbage bits and raw barley and add 4 cups of water and 2 consomme cubes. Cover and bring to a boil (about 5 minutes) then turn the heat down to a simmer. Slice into 4 pieces (as photo shows above). 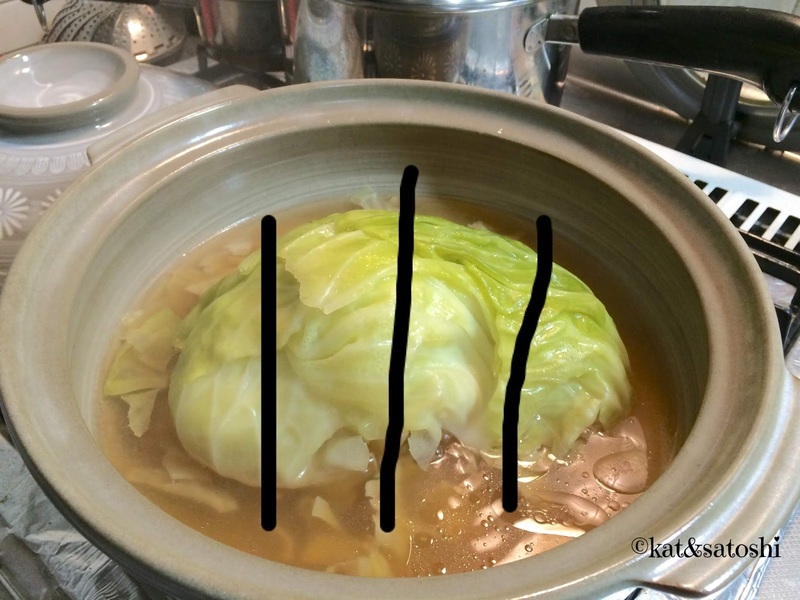 Serve with the soup, barley and bits of cabbage. 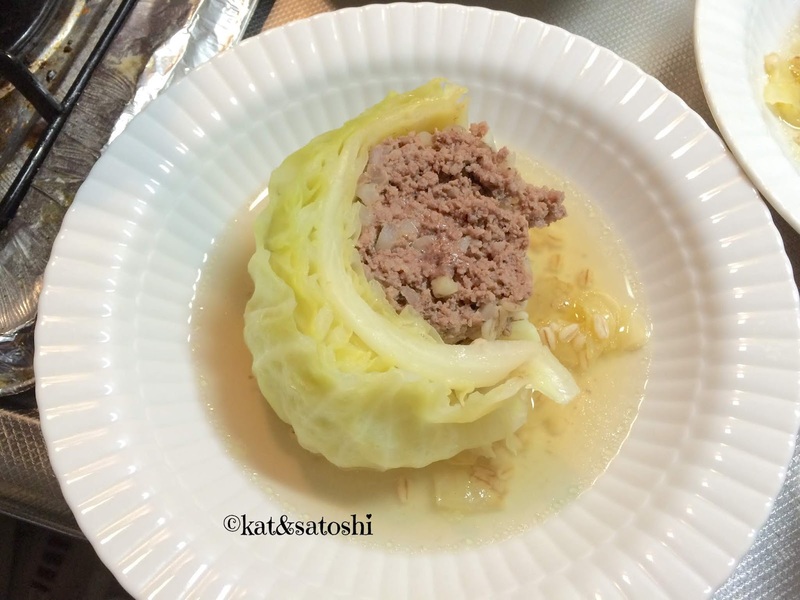 NOTES: this is definitely "stuffed" cabbage. 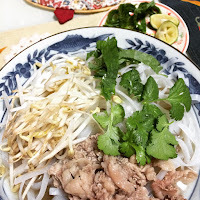 This was so easy to put together and took very little time to cook. 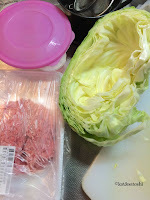 I would recommend trying to get hamburger all the way to the edges of the cabbage so that when you cut it into 4, the end pieces will have some hamburger also. 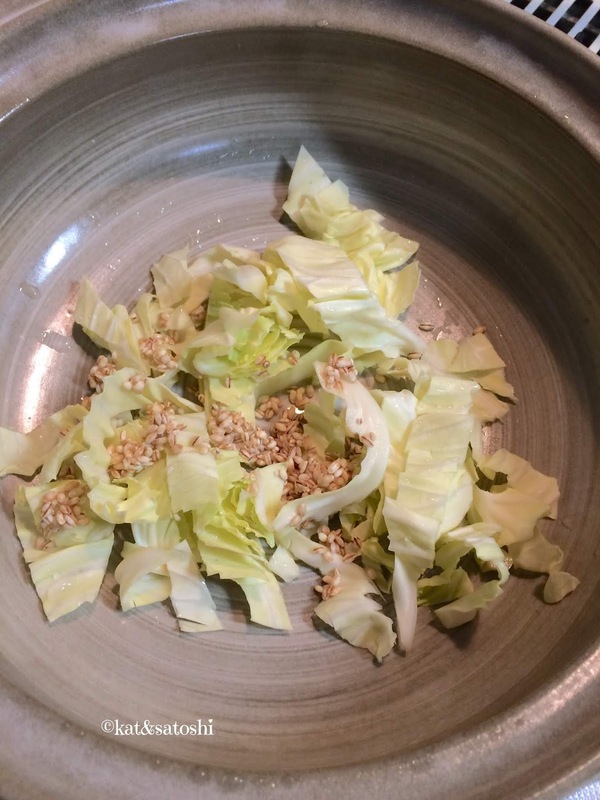 If you don't have a clay pot, don't worry, just use something big enough to fit the whole half cabbage to cook it. Also, you can use chicken stock in place of the consomme cubes. 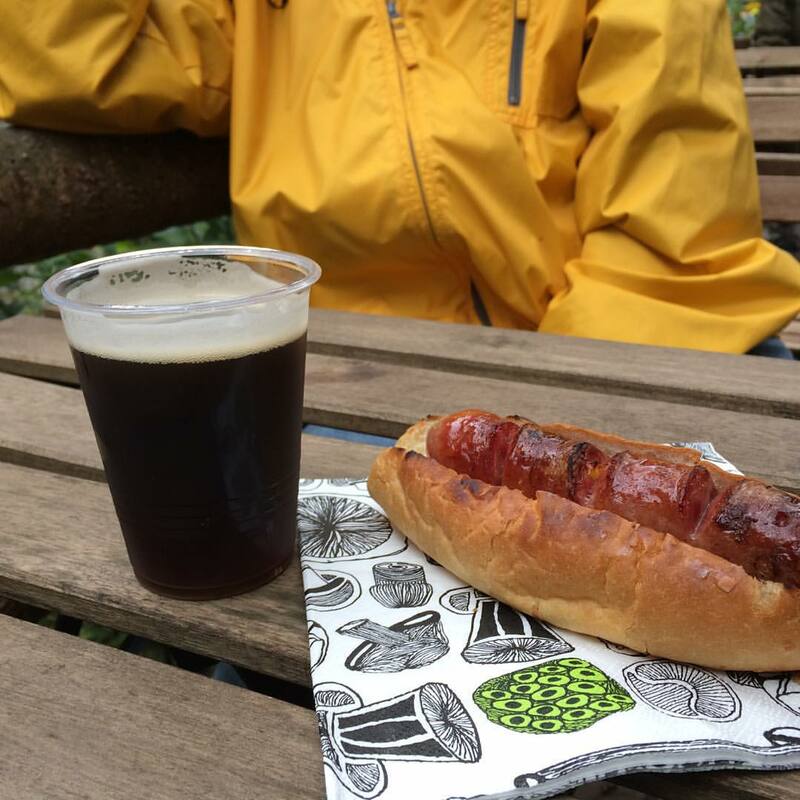 I've written about ku-cha-ne-ku-cha-ne before, well, that is basically what we did this past Sunday because it rained most of the day. 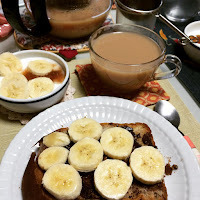 Walnut toast with chocolate speculoos spread, topped with slices of banana. Yogurt with fig vanilla jam and bananas that didn't fit on the toast. 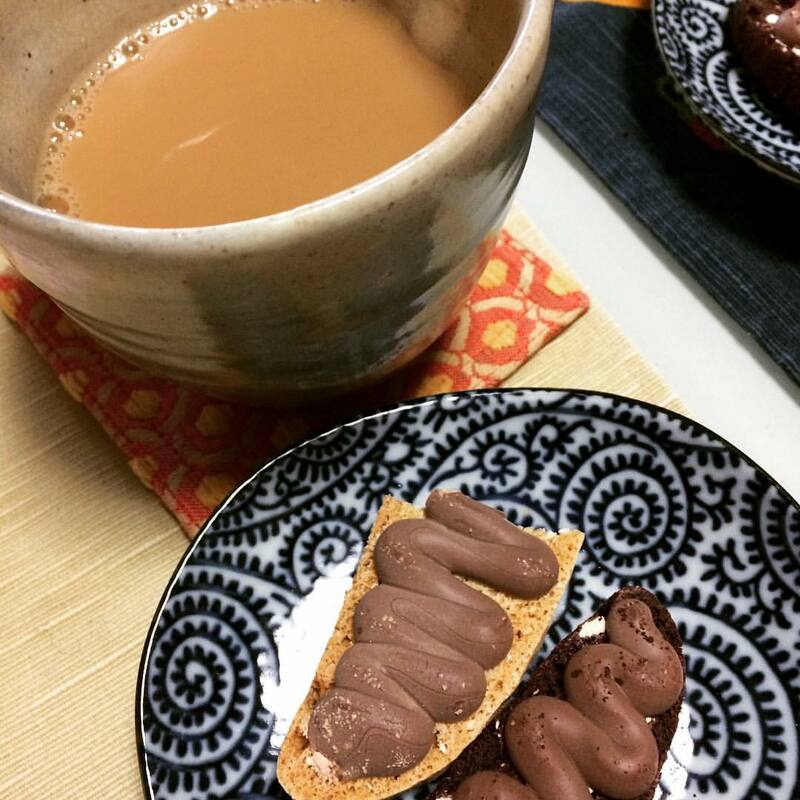 Speculoos tea with milk. There was some book reading and then I got lunch together. 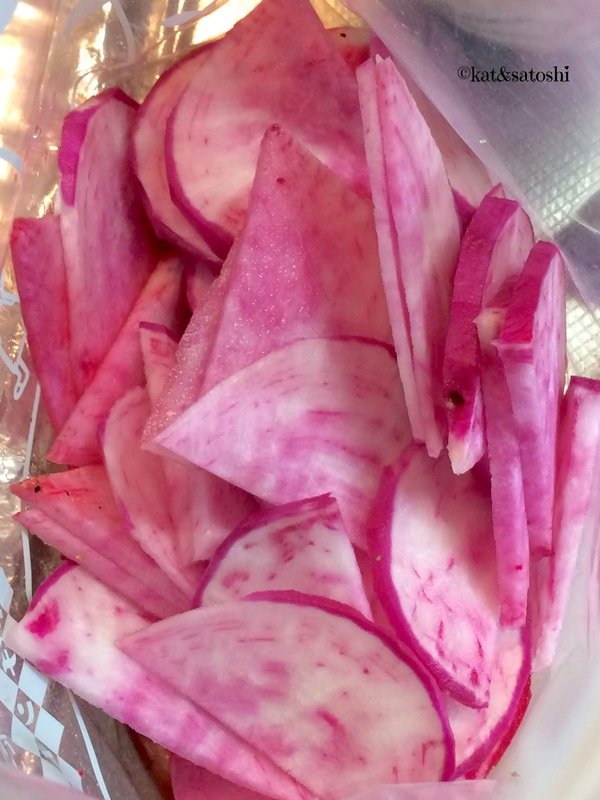 Leftover pickled purple cabbage. Baby spinach, a little swiss chard and a little kale goma-ae. I used the peeler to peel a purple carrot, loved all the colors that came out from the peels! I added a little shiso and marinated everything in a little dressing. 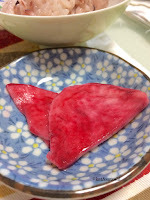 Rakkyo (pickled onions). Tamagoyaki. 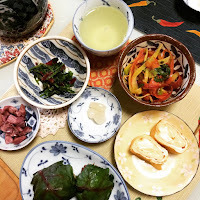 And musubi that I covered in blanched swiss chard leaves instead of nori. Green tea to wash everything down. Snacktime: café au lait & Big Island Candies biscotti to dip. Dinner was a big bowl of pho (fah). 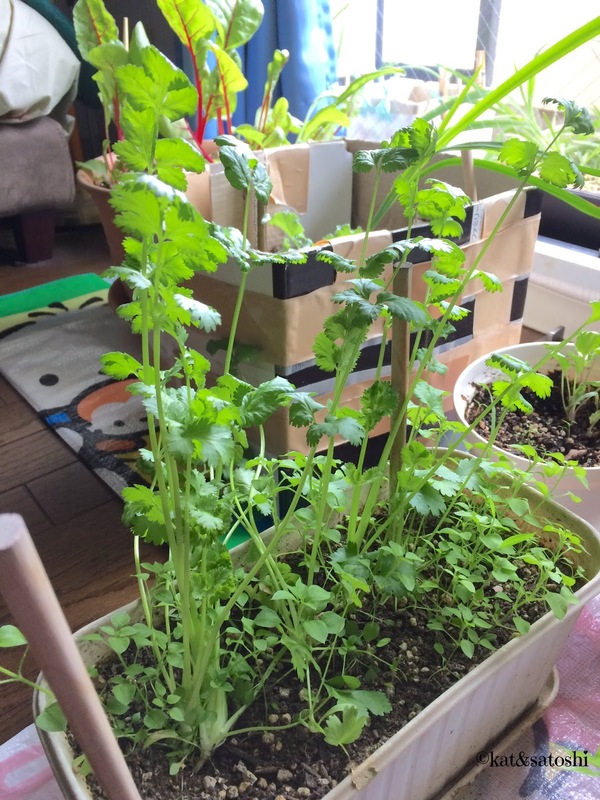 I've been wanting to use my cilantro. And since I didn't want to spend a lot for basil, I just used the rest of the shiso that I had. Maybe not the most authentic, there was more noodles than anything, but it hit the spot and was a nice way to use some cilantro. Saturday, after lunch, we walked to a cafe but it was closed so we checked out Interior Bookworm Cafe instead. I think this was the cafe that Phil introduced me to. I've tried to go back here a couple of times but always was either too early or on their days off. This time around, we were lucky because they were open and no one else was there. 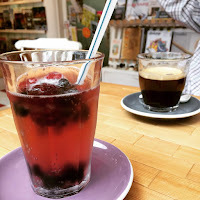 Satoshi had their "black" which was a black coffee...400 yen (tax included), while I went with their berry tea soda...400 yen (tax included). Satoshi didn't really enjoy his coffee but loved the interior of the cafe. 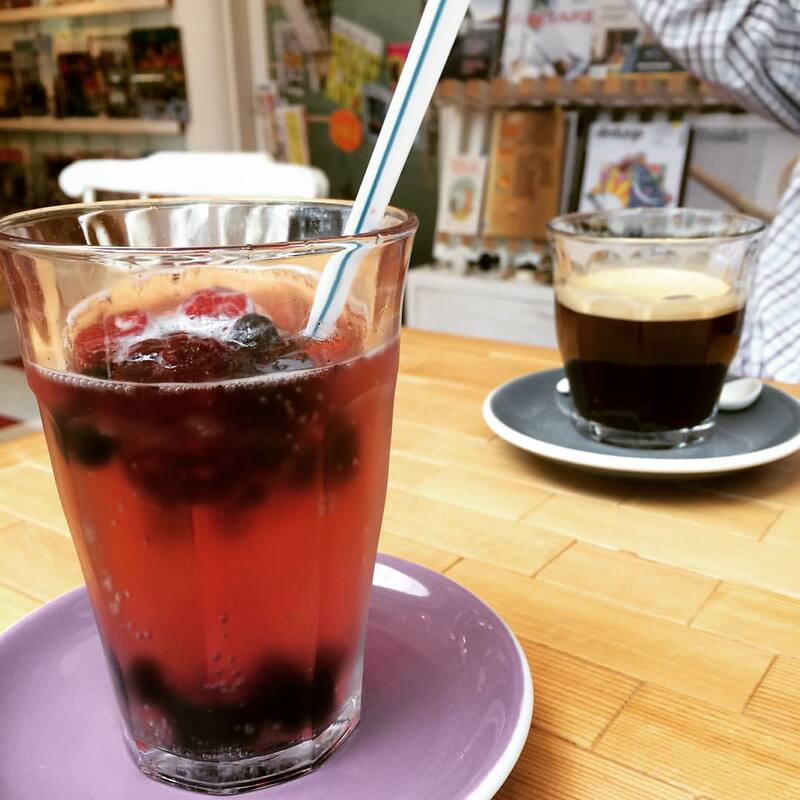 The tea soda was earl grey based and had lots of berries. This really hit the spot as the weather was a little warm. We're looking forward to trying other items on their menu, we'll be back. Went back to Garb Monaque to try something else off their breakfast menu...everything was still 500 yen (tax included). I went with their cinnamon roll and yogurt. After my order was taken, another couple came in, they were seated and their order was taken. And then another couple came in and they were seated and their order was taken. Then the first couple's order came out!! I was to the point of walking out and my order finally came out, the cinnamon roll was greasy and the glaze just flaked off when cut into, probably from being nuked, not good. And by then my coffee was lukewarm too...definitely not good. I don't think I will go back here. 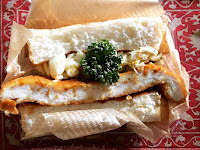 I'd been trying to get back to Kujaku Curry, so that I could try their katsu sandwich. It was kind of inconvenient that they only served it on Thursdays and they had a limit of 12 servings. I would almost always remember about it on Fridays...sigh. Well, I finally tried it yesterday...wow! A boneless pork chop cooked to perfection, crisp on the outside and juicy on the inside. Onions that are sautéed to caramelize a bit, and some rakkyo (pickled onions) for crunch. A little mayo on a thick toasted piece of bread. I chose to go the fork and knife route. And used the bread to mop up all the sauce. oh em gee...this was definitely worth 700 yen (tax included). I noticed that the sandwich is available on Fridays too now...I'll be back. Yesterday, I had a physical done. It's been about 3 years since the last time. I was super happy we didn't have to do the barium test. Whenever we do the barium test, the doctor that owns the clinic is super brusque when he speaks. On top of that, I never know what they are saying because everything is in rapid-fire Japanese. After all the other tests were done, I met with the doctor and he asked me about the polyp they found 3 years back, I told him I went to have an EGD done and that they said everything was fine. Then he said from what he saw, everything looked okay...but they still gotta analyze my pee and blood, so I'll have to wait until I get the results. Then I went to another clinic to get "the girls" mammo'ed. Man, the female technician was super patient and super good! The doctor said that everything looked okay, but to wait until the results are sent to me. 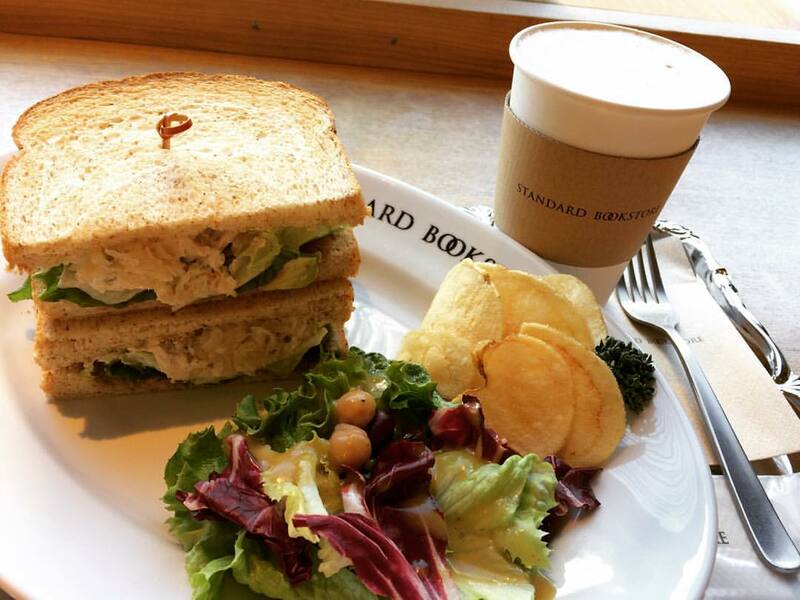 By the time I finished everything, it was close to noon, I was starving since I wasn't allowed to eat breakfast, so I went to the nearest place I could think of and had lunch at Standard Bookstore. I really like their chicken sandwich. It is filled with sauerkraut, a little avocado and this time it seemed like there was a schmear of pâté. I was bummed that my stamp card (which was almost filled) expired, so now I have to start all over again! At least the guy was cool enough to give me two stamps instead of just one for my meal. So, everything is done for now, in a couple of weeks I gotta get other ob-gyn stuffs done. Yesterday, we tried a new café, called Café Rande Blanc. They recently opened and because they look like someone's home, I don't think the word is out yet that they are actually a café. Since Satoshi and I had just had lunch, we just went in for a cup of coffee. 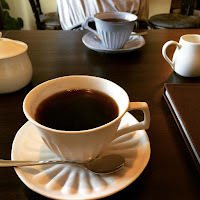 Satoshi had their India dark roast while I had their dark roast blend. They roast their beans on property and don't have too many food items on their menu. But I like that you can't smoke indoors. We enjoyed their coffee and look forward to trying some items on their menu, we'll be back. 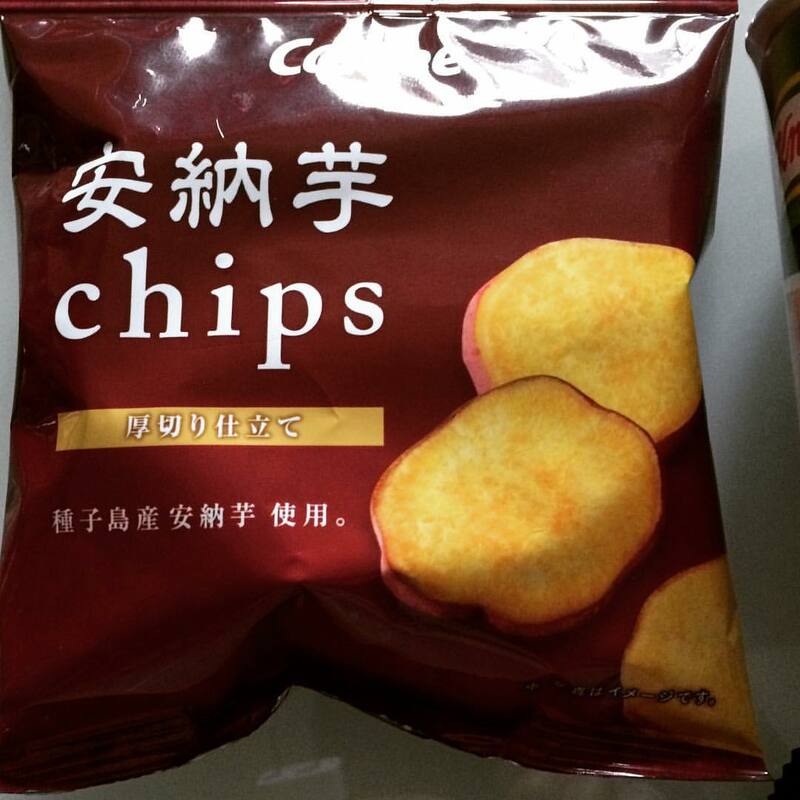 I've talked about anno imo before here and found some chips made by Calbee at the convenience store. 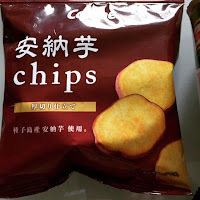 These were a thick cut chip so they weren't too crisp. Still the potato was very sweet. I like that these chips don't have anything extra added to them. p.s. 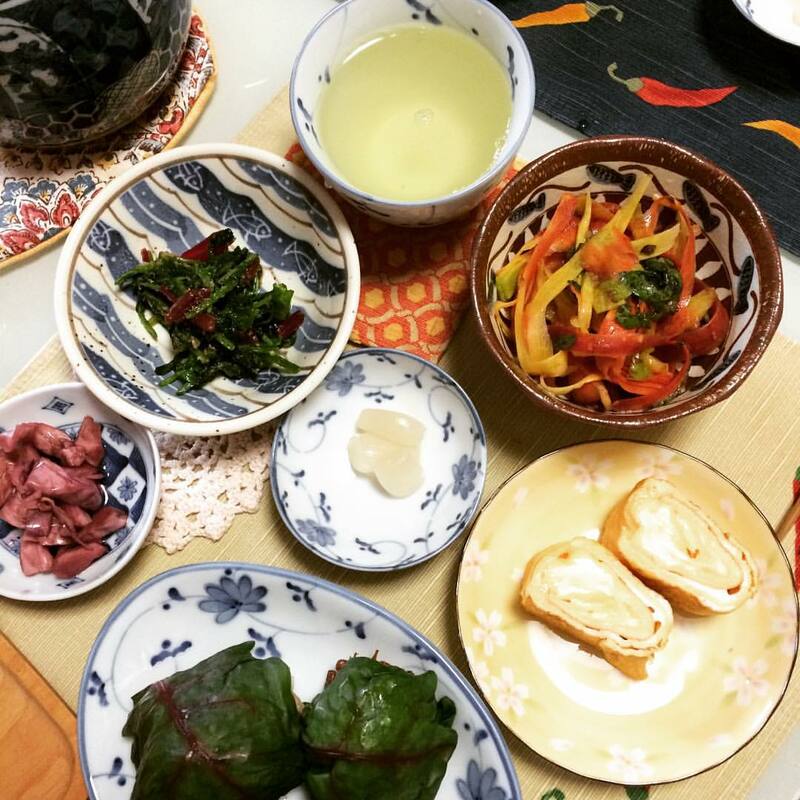 today is a holiday (Bunka no hi (Culture Day)), so we have a short week! It's raining today, and the temps have dropped quite a bit. Just wanted to show you what is happening on the lanai (or actually in our living room). 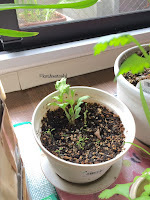 I brought these plants indoors to avoid frost getting them...Ranunculus. I hope this gives more than the one bloom that it did last year. Ti leaf...I can't believe this one took. 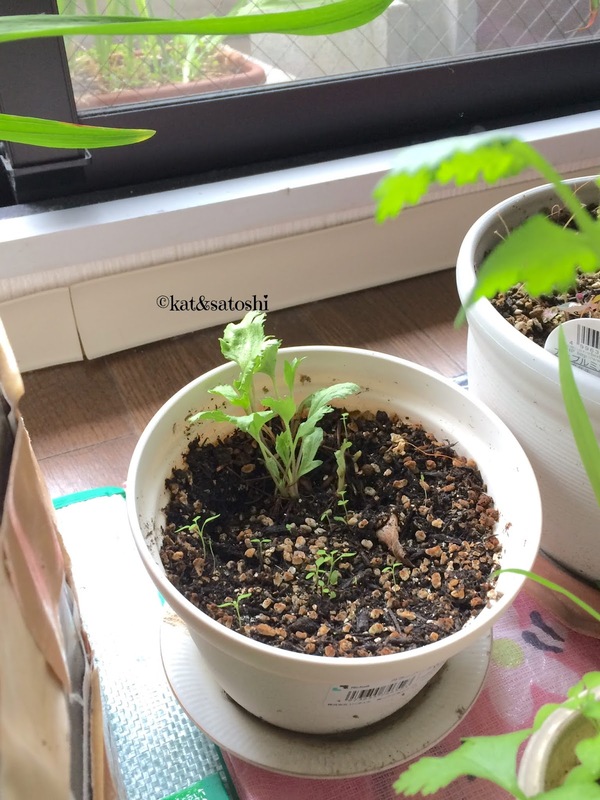 It was part of a flower arrangement and had some roots so I took a chance and planted it. 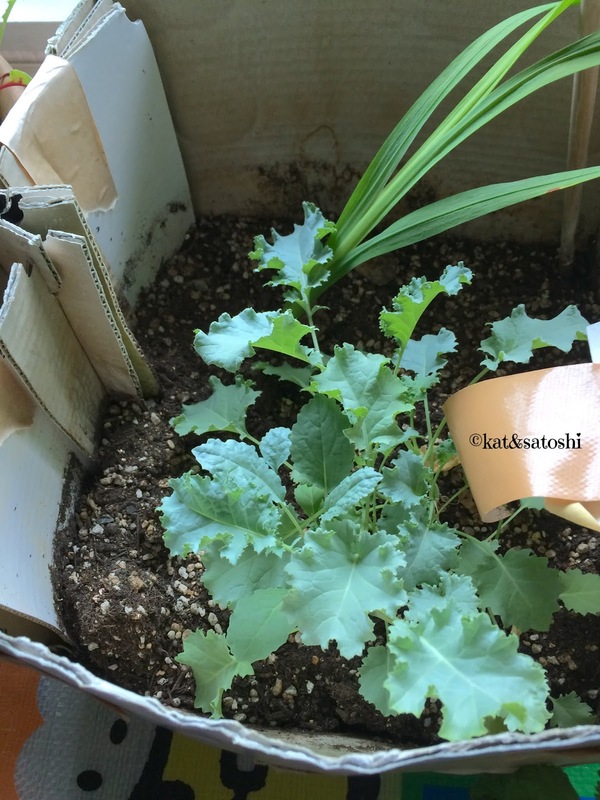 Anything exciting going on in your garden?